Fully committed to making our customers feel special…because they are. Anew Bath Remodeling was founded in Mobile, Alabama, by local bath and remodeling pros to meet the need for quality and affordable bathroom remodeling options. Over time, all bathrooms become old, dingy and dirty. We are dedicated helping our customers solve these problems in a way that is easy, safe, functional, cost-effective, and achieves glamorously beautiful and lasting results. 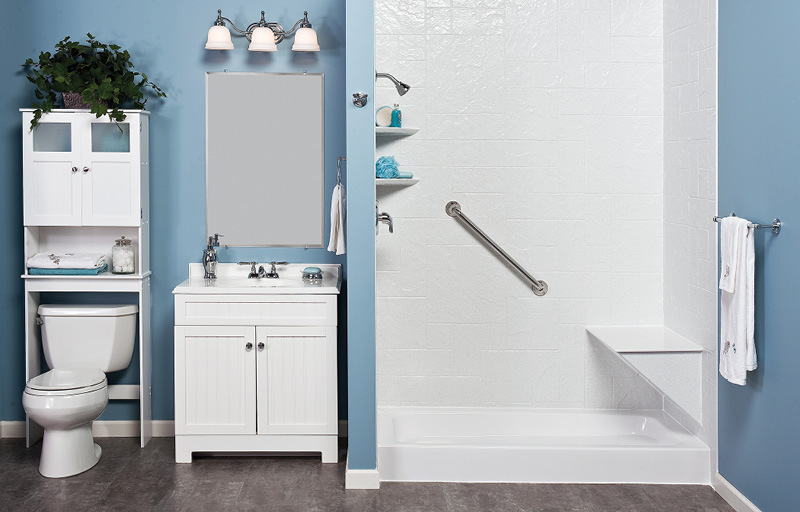 With Anew Bath, you have the confidence of knowing that we stand behind our work and workmanship, and will be there for you long after the job is completed. Anew Bath Remodeling partners, from left, Greg Gordon, Bryan Ward and Kenny Spikes. The professionals of Anew Bath Remodeling have two things in common: They have years of experience in bathroom products and remodeling. And they have a passion for customer service and attention to detail. 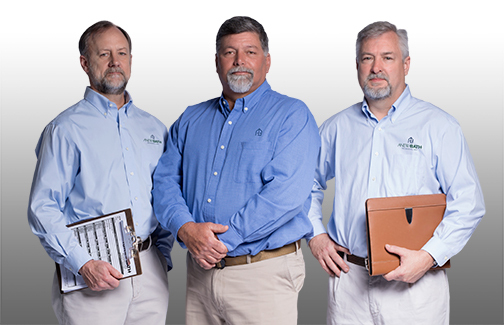 As a team, they bring more than 20 years experience in all phases of the bath and kitchen remodeling business – design and consulting, product sales, contracting and installation, and customer service. Together, they are the ideal resource for every bath and kitchen remodeling need. Also, learn more about kitchen remodeling services available from Kitchen Tune-Up at kitchentuneup.com. At Anew Bath Remodeling, when we say we’re going to help, we mean it. We will always aspire to the highest standards of competence, reliability, professionalism, responsiveness and integrity, and we will deliver outstanding quality and value on every job. We will be fully transparent in all aspects of our job performance, from pricing to how and when the renovation will be performed. Because nothing is more important than the trust and respect of our customers.